Mwingi preacher who defiled minor arraigned in court – Kenyatta University TV (KUTV). All Rights Reserved. 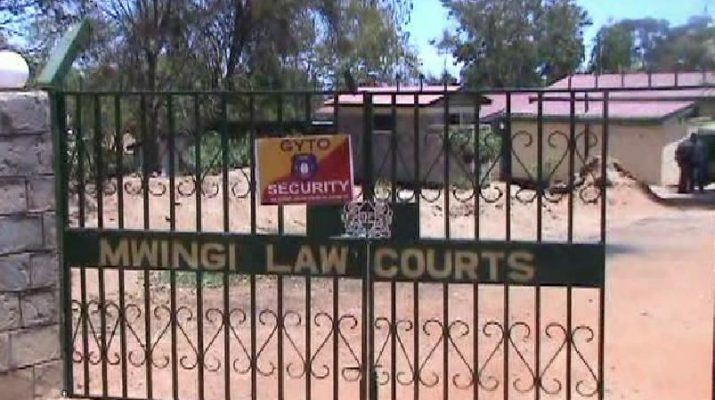 A Mwingi preacher who had been arrested in connection to defilement of a minor in his church at Nzawa market in Migwani Sub County in Kitui County was today arraigned in court at Mwingi. The rogue preacher was arrested last month in connection to the crime, following uproar by Nzawa residents over his actions. Steven Masila of Arising Christian Ministries appeared before Mwingi law courts’ Senior Residents magistrate Grace Kirugumi where he pleaded not guilty of the defilement charges facing him. Masila appeared in court today after DNA test which had been ordered by the court proofed that he was the real father to an infant who had been born by a 17 year old girl who had been defiled. The man was awarded a bond of Ksh. 200,000 or surety of the same amount pending hearing of the matter on 18/09/2018.